Here is a brief (relatively speaking) episode that is suitable for listeners of all ages. We start off with some letters and then we open "The Box", and guess what it contains . 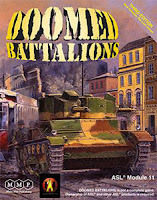 . . yes, it's Doomed Battalions. 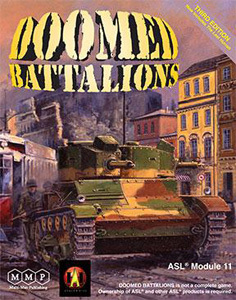 We're sorry the Battalions were Doomed, but we were soooo happy to open this box. Who wouldn't love that? Did you know that we also have a new, easier, better way for you to leave us a comment? Well, we do.You can find it if you glance to the right of the screen you are currently looking at. See that "Record Message" tab? Go ahead, hit it, and leave us a message. 20:25 What's in the Box? Has anyone experienced problems leaving a comment? Let us know if you have, through gmail. I'm not having any problems posting here. Keep up the good work! Another great episode. When's the next round table? Keep up the "dull" work!